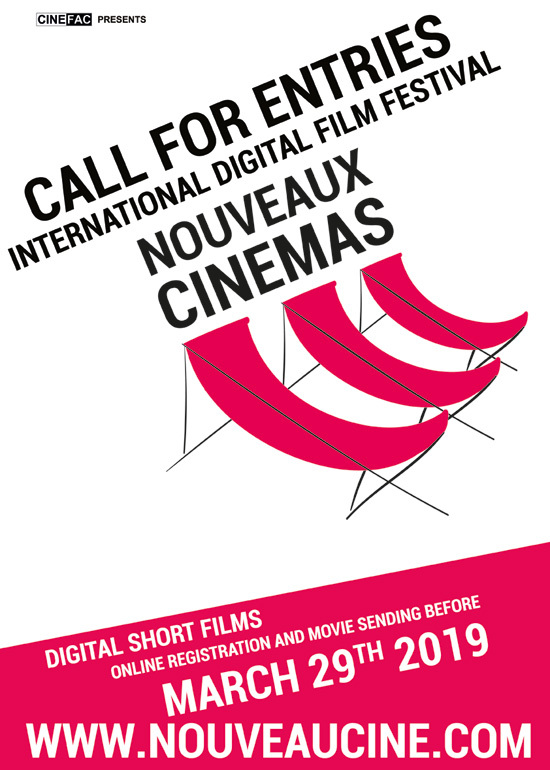 For the past fourteen years the Nouveaux Cinemas Film Festival has supported and broadcasted digital cinemas under all their forms. For its 15th Edition, the Festival sends a reminder for its appeal to film. We are looking for films without constraint of genre or theme, date of production, nationality,shot with digital technology (DV, HDV, HD, Mobile phone, Webcam, Digital camera, VR 360°,…) any style, any subject, any support, any language but with French subtitles or no dialogues offering relevant and innovative use of the digital support. You can send your Short film –max length 20 minutes credits included only.